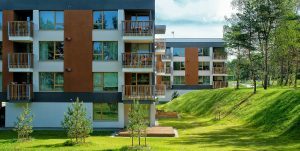 In the 6th house of Hõbemetsa Residential Area are in total 29 new apartments. 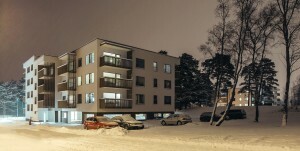 A whole new living environment is cropping up on the border of Kalamaja and Pelgulinn – the private, cosy Rohu Quarter. The Old Town, the exciting Telliskivi creative city and Kalamaja with their quickly developing selection of entertainment and eating places are only a walk away. Cosy homes with beautiful modern design are located on an excitingly varied landscape between tall pine trees. The location between Nõmme and Haabersti means surprising privacy for an urban home, while everything you need for life is right there. 2 new houses was completed on February 2018. Cosy homes with beautiful modern design are located on an excitingly varied landscape between tall pine trees. The location between Nõmme and Haabersti means surprising privacy for an urban home, while everything you need for life is right there. 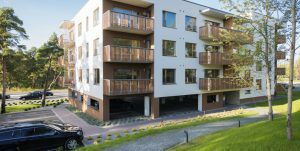 Apartment building in Hõbemetsa residential area. 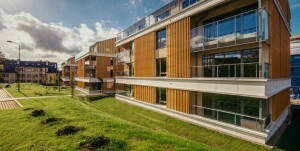 The low-energy building with modern architecture contains a total of 26 apartments. 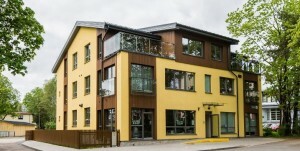 Cosy, low-energy urban house right in the heart of Nõmme. The apartment building with a private courtyard contains only 9 apartments. 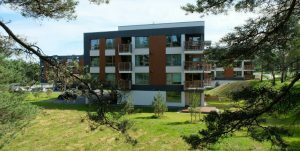 Shops, cafes, public transport and the Nõmme market are only a walk away.